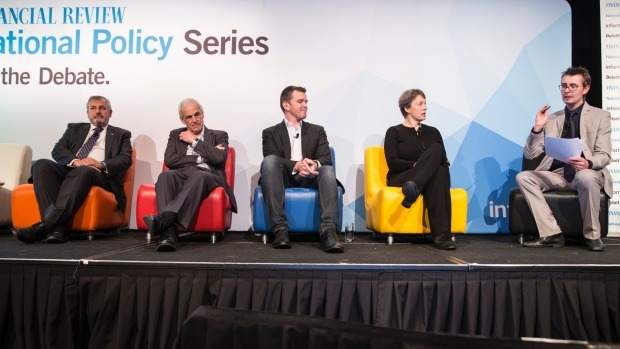 Quantum Computing - the race is on (left to right) Dr Alex Zelinsky, Chief Defence Scientist, Department of Defence Gro, Hugh Bradlow, Chief Scientist, Telstra, Michael Brett, CEO, QxBranch, Scientia Professor Michelle Simmons, ARC Centre for Quantum Computation & Communication Technology ? UNSW Australia and Paul Smith, Technology Editor, Australian Financial Review. Copyright AFR. The panel is discussing the importance of ethics in innovation and that it has to be considered at all levels. Discussing accountability Professor Katina Michael from the School of Computing at the University of Wollongong says, it's everybody's responsibility to discuss regulation - whether it's self-regulation - or industry guidelines, or law. "We need to keep talking and we need corporations to speak to NGOs. "If you really want to engage NGOs and consumers actually talk to them," she says. 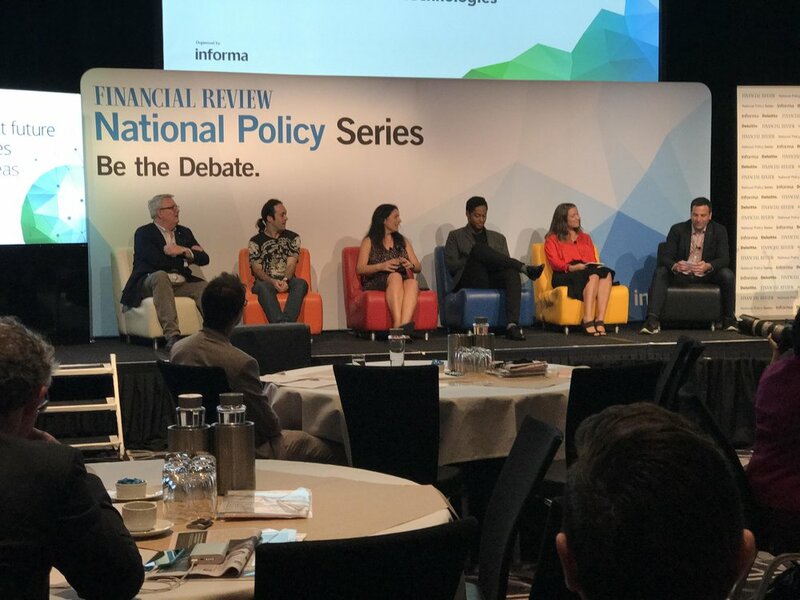 Follow us: @FinancialReview on Twitter | financialreview on Facebook"
Original remarks on LinkedIN here by INFORMA Producer Véronique Henrisson.